I have been doing some gardening experiments, and am trying to set up some hydroponics, aquaponics and vermiponics systems for my plants. I have done a lot of research and found out about the importance of testing the pH levels in your systems for the best results. I got the Dr.Meter® 0.1pH PH002 High Accuracy pH Meter/pH Pen Tester with ATC(Automatic Temperature Compensation) LCD 0-14 pH Measurement Range to test these levels, as well as for a few other tasks I wanted to perform. This pH meter works well for testing the alkalinity or acidity of liquids, which works perfectly for testing my aquarium water. The digital display is easy to read and once calibrated, the results were very close to the results I got using litmus paper. To test the pH of soils takes just a little extra effort, since the soils must be mixed with water, tested, then converted for accuracy. I had do do a bit of research to determine the exact formula for testing the soil, but it isn't difficult once you know how. I have been using this device on my systems, and so far am very pleased with the results. This pH meter comes with 3 of the 1.5V LR44 button cell (AG13) batteries, calibration buffers, calibration screwdriver, instructions and a protective case. The batteries mine came with were very low when I got them, but held out long enough to test it out on several liquids. 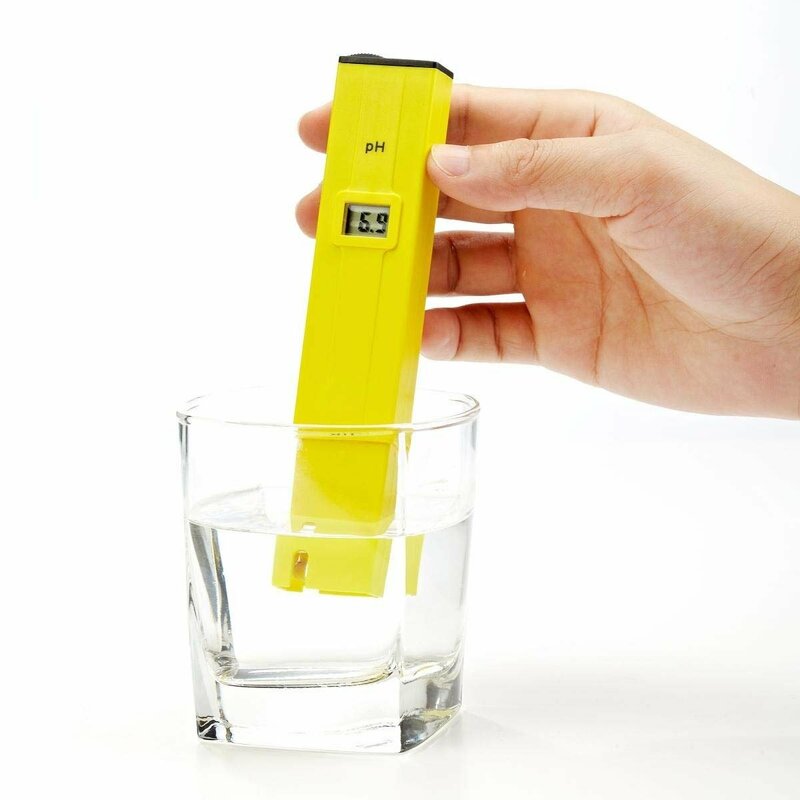 I will need to purchase more batteries before testing further, but so far I am seeing good results from this product and would recommend it to others who wish to perform pH tests of aquariums, body fluids, foods, or other liquids.